production scrap. light melting scrap. GI and CR. We offer Top quality Copper Scraps at highly affordable prices. 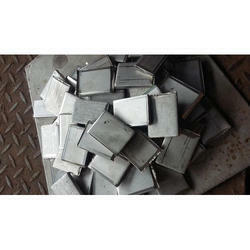 Copper Scrap supplied to our clients is available according to their requirements. We provide the timely delivery of Copper Scrap within predetermined time frame. Copper is more often used in a pure form than any other metal. Resistance to corossion and high conductivity in pure form is already suitable for it's common uses that includes electrical wire, plumbing and heating pipe and cooling or refrigeration tubes.We are a renowned dealer of copper scrap. We are engaged in making available a supreme quality cell and battery scrap which are generated from unused or destroyed batteries and cell phones. This range of products is procured from reliable vendors to ensure premium quality. Furthermore, they are checked, tested and stored carefully in a safe manner so as to avoid any hazards. Dispose of all your scrap metal and turn a profit when you sell it to Riser Overseas. We purchase a wide array of metals, ranging from brass and copper electric wire to aluminum, stainless steel, and carbide and just about all types of machine recycling. Offering all types of industrial scrap. We are also engaged in the trading of non-magnetic stainless steel scraps, both on spot prices and LME formula based in 304, 310, 316, 321 etc. It is always preferred to trade graded scrap and not blended. This avoids any kind of discrepancy between the buyer and seller.